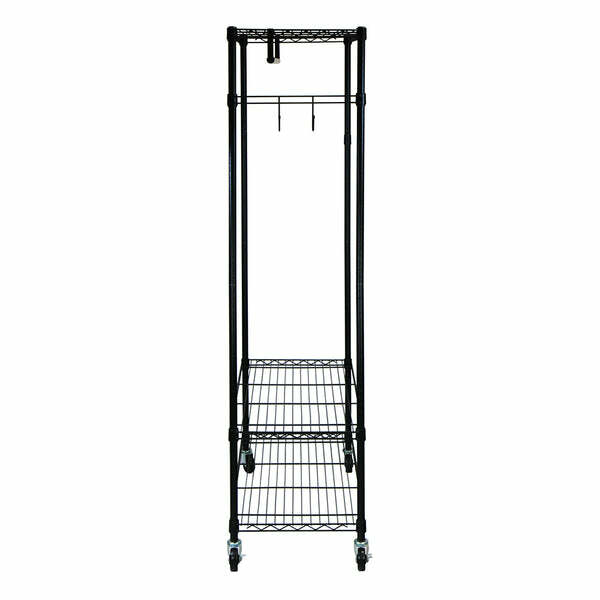 Oceanstar Garment Rack with Adjustable Shelves with Hooks, Black GRS15 (closet, garment rack, laundry, oceanstar) | Garment Rack | Oceanstar Design Group Inc.
Be instantly free of clutter with the all-in-one solution to your storage needs! 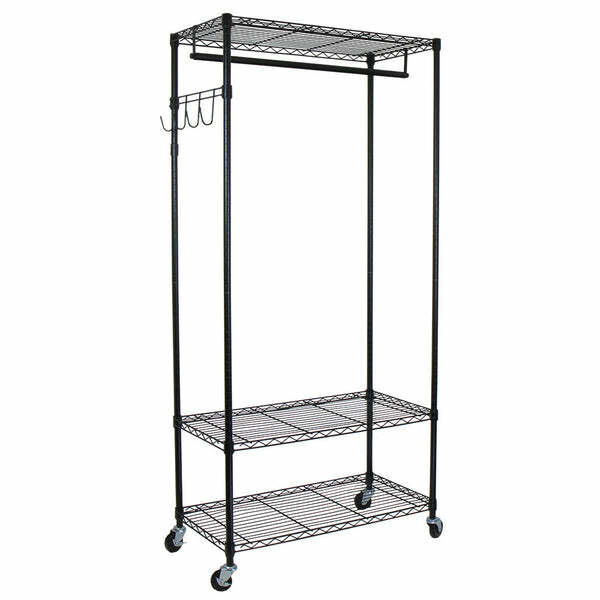 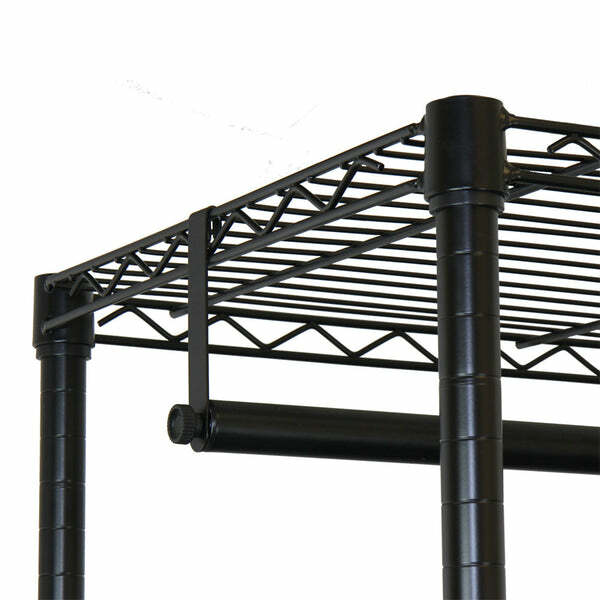 Constructed with heavy duty steel, the Oceanstar Garment Rack is not only easy to assemble, but sturdy enough to hold heavy garment pieces such as winter wear, gowns, handbags, and footwear, which can all be neatly organized and easily accessible from this one rack. 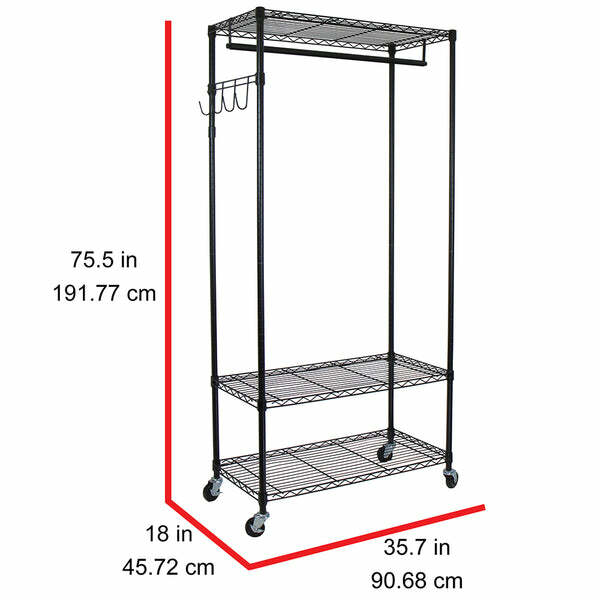 It features 3 height adjustable shelves for extra storage capacity and a detachable hanging bar that easily accommodates to the length and size of your garments. 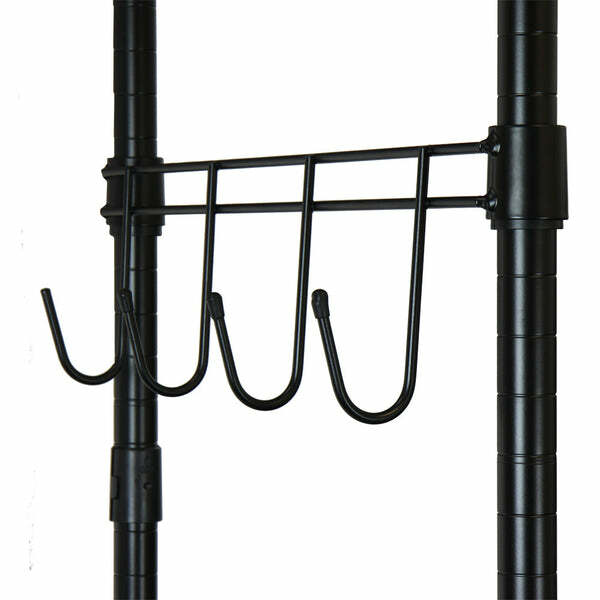 Arrange your handbags onto the removable hook bracket at the desired height. 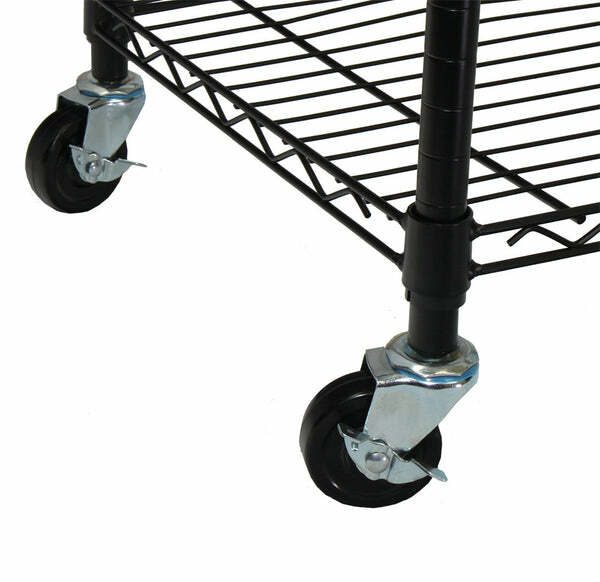 With 4 heavy duty caster wheels for easy transportation, the rack moves effortlessly to anywhere in the home. 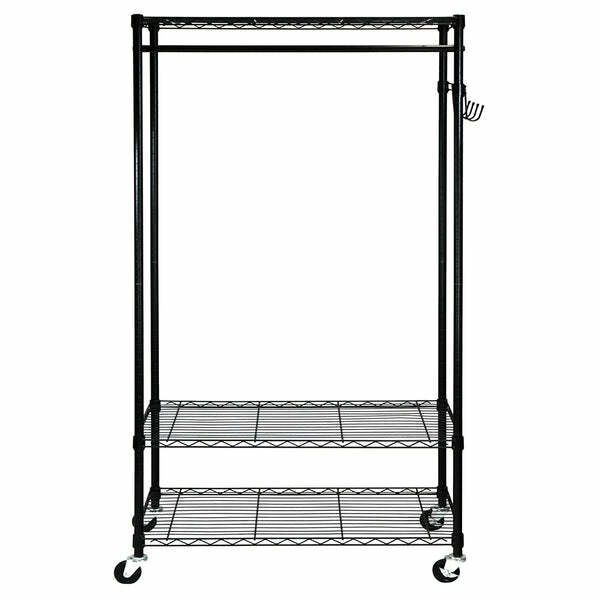 The Oceanstar Garment Rack not only provides additional storage space but caters specifically to your storage requirements. 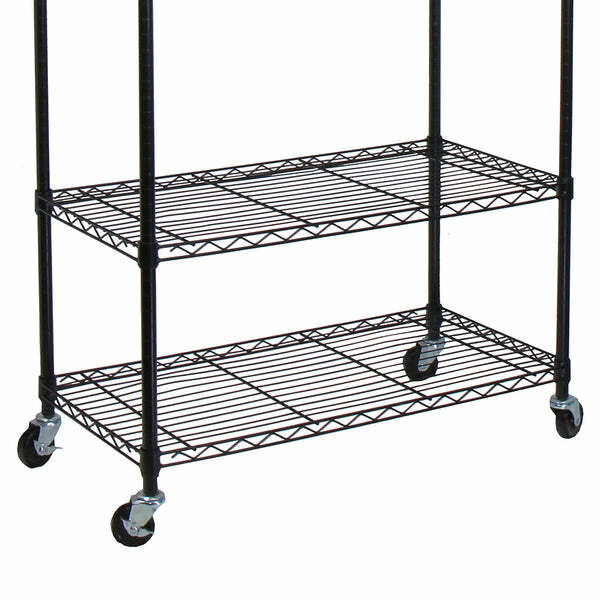 It is the ideal addition to your home and bath environment. 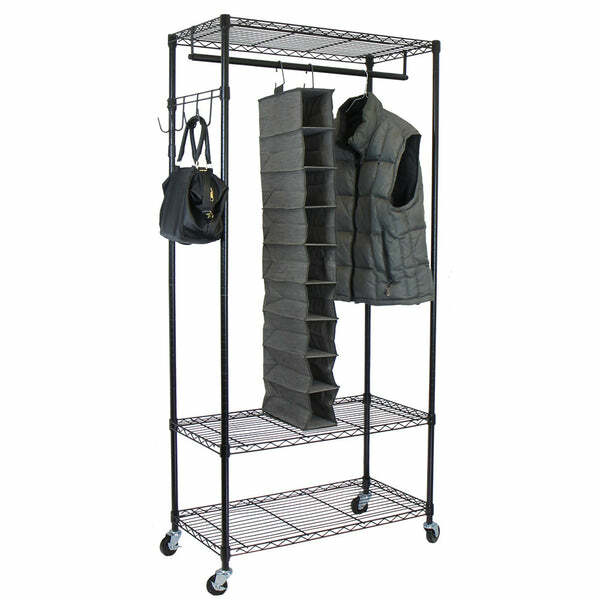 Find more Garment Rack or additional Oceanstar Design Group Inc. products.